No need to live in misery each month when you can turn to a little cannabis. Tired, sore, and all-around irritated? Over 75% of women experience some form of Premenstrual Syndrome (PMS). In fact, physical and emotional symptoms can start as many as one to two weeks before menstruation. For some women, these symptoms can be excruciating, even debilitating. But cannabis may have an answer. After all, cannabis has been used to alleviate symptoms of PMS for thousands of years. Even Queen Victoria of England relied on cannabis for her menstrual cramps. From pain relief to sleep – here are 7 reasons why cannabis is great for PMS. In the days leading up to their period, many women find themselves dealing with tender breasts. This is due to an increase in progesterone production during the luteal phase of the menstrual cycle, causing the milk ducts within the breast to expand. For some women, the pain can be so severe they are unable to wear a bra or participate in everyday activities. While pain subsides once menstruation begins, the days leading up can be miserable. And menstruation is a cyclical occurrence. Which means countless ladies are dealing with breast pain every month. However, cannabis may have a natural solution. As early as the 11th century, women in Europe were using cannabis to treat pain in their bosoms. One concoction even called for a lamb’s fat and cannabis rub. And that is far from the only instance. Other medical texts also reference a cannabis ointment to reduce swelling. Although no official studies have been conducted on cannabis bosom rubs yet, researchers have proven that cannabis possesses anti-inflammatory effects. This indicates that cannabis may indeed be a fantastic aid for reducing swollen breast tissue and alleviating pain. Did you know in the 19th century, Irish doctor William B. O’Shaughnessy reported cannabis could help menstrual cramps? This is the same physician who reportedly introduced cannabis into the U.S. pharmacopeia. 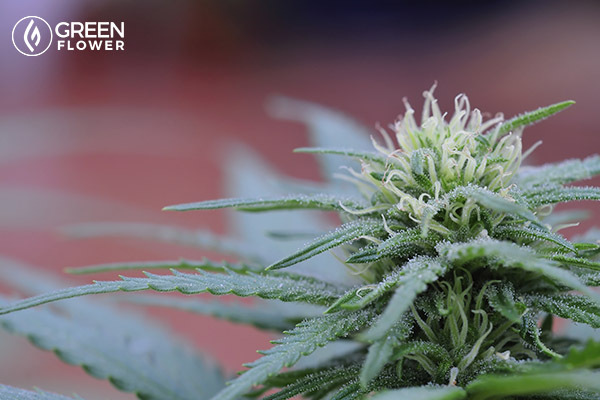 Even though modern scientists have yet to study whether or not cannabis specifically addresses menstrual cramps – numerous women have shared their positive results. Even Whoopi Goldberg praises cannabis for curing her cramps. “Nothing made (period cramps) stop the way you needed it to,” Whoopi said to a Newsweek reporter in reference to her cannabis company OM Edibles – aimed at alleviating menstrual pain for women. “I don’t want to see my granddaughter not have any relief,” she continued. “There are [pain relief products] out there, but sometimes when you look at the box you can’t pronounce what’s in it. That’s what you’re putting in your system." Clearly, there is a positive correlation between cannabis and cramp relief. Scientists have already proven cannabis is highly effective for treating chronic pain. Aunt flow doesn’t only lead to tender breasts or menstrual cramps. Believe it or not, the drop in estrogen before menstruation can also be attributed to a throbbing headache. 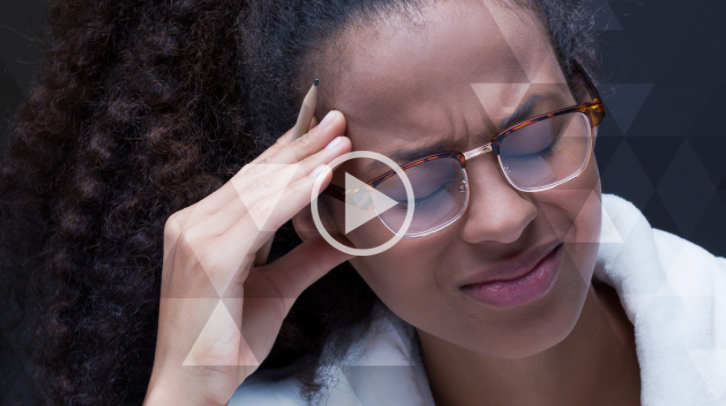 Of the four in ten women who experience a migraine during their lifetime – over 50% associate migraines with menstruation. Research also indicates that migraine risk increases by 25% during the five days leading up to the first day of a woman’s period. And by 71% within two days before menstruation starts. Wondering why this takes place? Estrogen activates several parts of the brain that regulate the perception of pain. In other words, the lower the estrogen, the fewer resources the brain has to reduce the perception of pain. Cannabis is a known treatment for headaches. One study even found that out of 121 adults who suffered from migraines – 85% reported fewer migraines per month when using cannabis. Although many questions remain such as strain selection or dosage, the opportunity for relief is huge. Do you have a preferred method for consuming cannabis? Smoking, vaping, edibles, oils, tinctures? Prostaglandins are chemicals released during menstruation that cause the uterus (and intestines) to contract. Typically, prostaglandin-related cramping and diarrhea occur during the first three days of a woman’s period. However, bowel movements can change throughout menstruation. The fluctuation in hormones can even lead to constipation for some ladies. In addition, extensive evidence supports cannabis as an effective treatment for gastrointestinal conditions such as IBS (Irritable Bowel Syndrome) and Crohn’s disease. Menstrual-acne is a common occurrence for many women. A study published in the Archives of Dermatology found that 63% of women experience premenstrual flares. When estrogen levels drop (usually one week before the onset of a woman’s period) progesterone levels increase. This, in turn, causes the oil glands to become more active. For some women, the increase of oil can lead to the growth of a bacterium that leaves skin more sensitive to breakouts. Cannabidiol, or CBD, may provide a potential treatment. While the verdict is still up for debate as to whether all forms of cannabis can have a positive effect on acne – it is clear that CBD-based therapies could be helpful. Particularly when ingested rather than smoked. Cannabis can help you sleep and wake up refreshed in the morning. According to a poll by the National Sleep Foundation, 67% of women who menstruate toss and turn for two or three days during every menstrual cycle. Not only does a good night’s rest leave us energized and ready to take on the day – sleep also helps us live longer. Needless to say, sleep deprivation can have severe long-term side effects. While many women have trouble sleeping during their period due to bloating or back pains, it is also possible to experience insomnia prior to menstruation. Referred to as premenstrual insomnia, women can experience trouble sleeping a day or two before their period begins. While there are certainly multiple factors at play, doctors believe premenstrual insomnia is associated with a drop in the hormone progesterone. Right before menstruation, production of this hormone falls. Depending on the severity of the drop, women can experience a wide range of effects. A gradual decrease may lead to a little trouble sleeping. A massive plummet could result in an endless night of counting sheep to fall asleep. Cannabis is a well-known sleep aid. One study revealed 160 mg of CBD helped patients sleep more than a placebo. Another study found that THC (administered in doses of 10, 20, and 30mg) helped patients fall asleep faster. Essentially, cannabis-based therapies may hold the answer for treating premenstrual insomnia and other sleep disorders. Are you a woman who feels crankier than normal before or during your period? Do you find yourself crying or stressed beyond belief? Those are your hormones at work. While no one woman’s body is the same, menstruation causes a rise and fall in the level of hormones, particularly estrogen. For many women, this can result in mood swings prior to the start of menstruation. Which can be a stressful experience, to say the least. Yet cannabis has demonstrated capabilities of mood-stabilizing effects. In fact, research indicates the active ingredient in cannabis THC binds to a receptor in the brain. This in-turn results in a mood-stabilizing effect. While that’s not to say every woman’s experience, or man’s experience for that matter, with cannabis is the same. This is no doubt a huge benefit of cannabis when it comes to coping with emotional fluctuations. Cannabis combined with a healthy lifestyle may indeed hold the key to easing PMS symptoms. Like any other medication, cannabis is not a cure-all. However, when used with conscious intent, many women can find relief. Most of all, women need the ability to choose. The power to be in charge of their health. Even if only a few women find relief from using cannabis for PMS, then every single woman on this planet should also be able to make that same choice freely. No more cannabis stigma, no more cannabis shame, and no more prohibition. In this online video session, cannabinoid specialist, Jessica Peters reveals how and why cannabis is suited perfectly for women, offering a host of treatments for women’s health issues, including relief from cramps, body pain, migraines, endometriosis and other specific feminine conditions. She also covers the cannabinoids and terpenes that are best for women, proper dosing strategies and specific female-friendly cannabis products. Is Cannabis Really Safer Than Alcohol? Know somebody who could benefit from medical cannabis? Better hone your approach first.